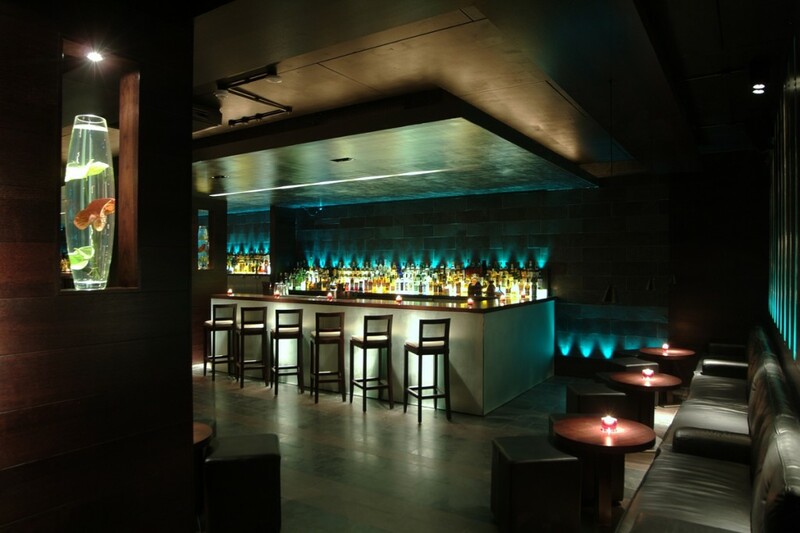 Mint Leaf is a multipurpose venue centered around a high-end restaurant. 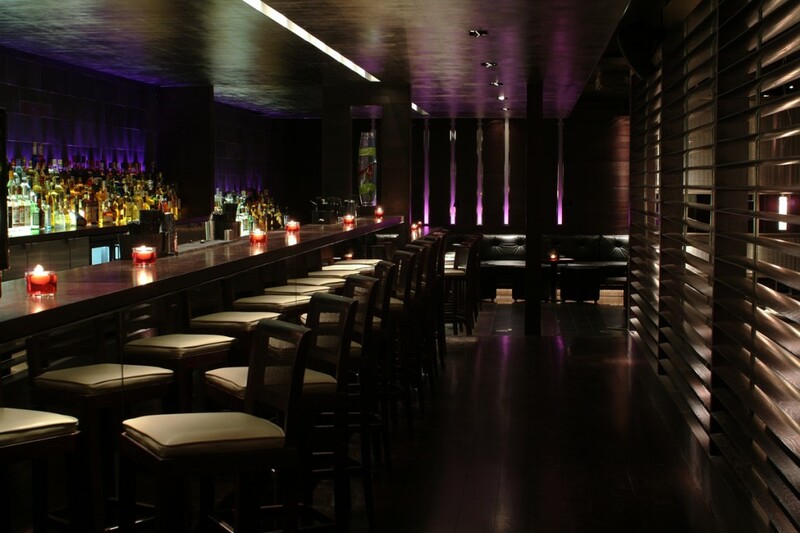 The lighting design was required to provide a low-level atmospheric mood with hints of drama on a very dark palette interior. 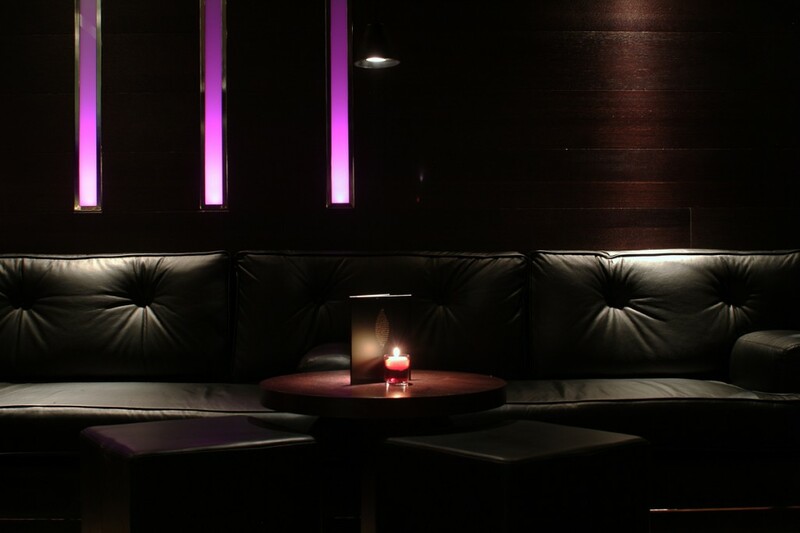 Specific accent lighting provide sparks of bright colour on a black interior, using RGB fibre optics to vertical surfaces along with bespoke feature lights. 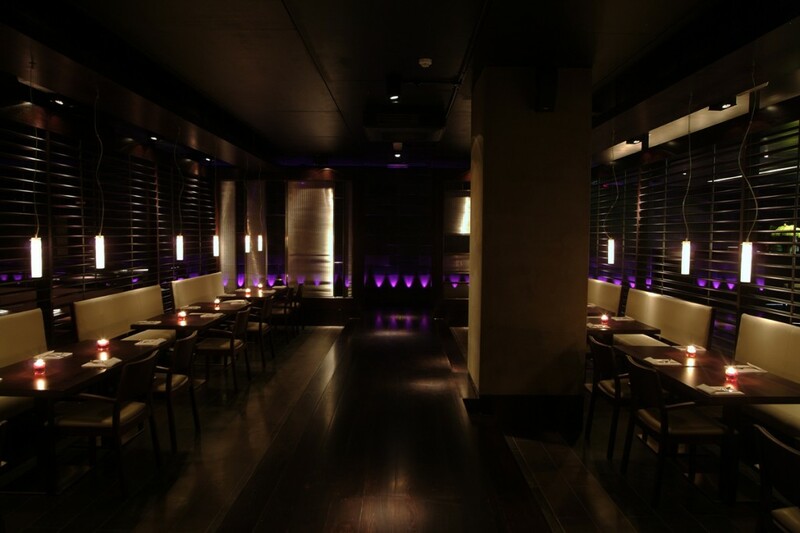 Warm lighting to tables for dining uses halogen pinspots for high quality colour-rendering. 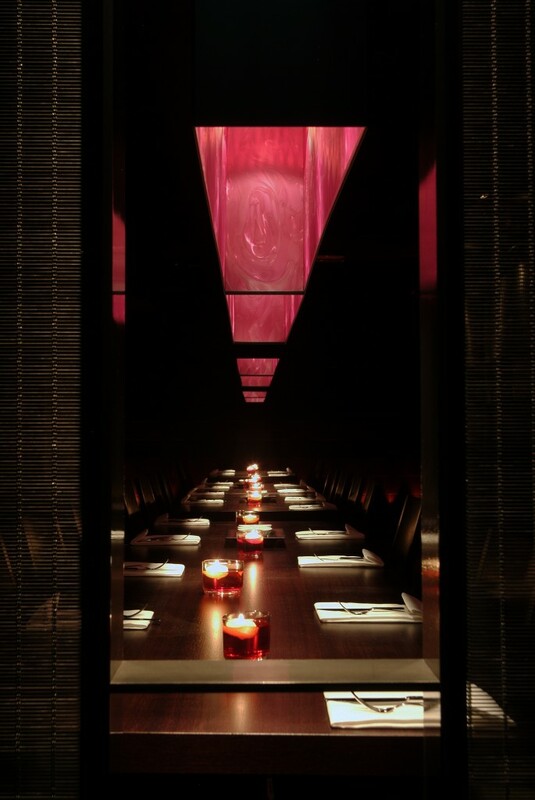 On entering the venue via the main staircase the restaurant appears striking in it’s design, but on going down into the basement there is a sense of intimacy and privacy in what is essentially a vast restaurant. Mint Leaf was a Finalist in both the Lighting Design Awards and the FX Awards in 2003.